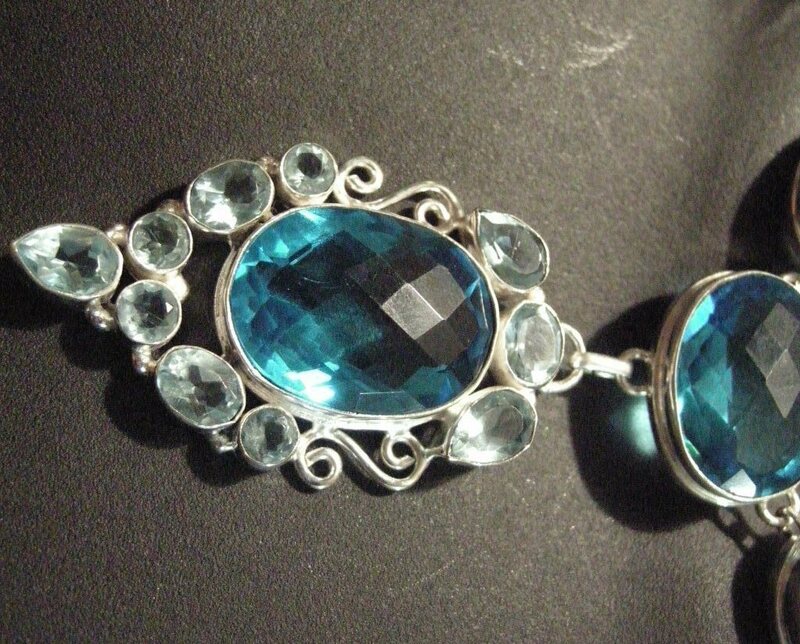 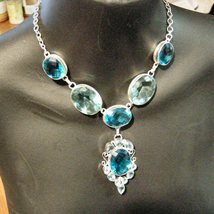 Sterling Silver Necklace Set with large faceted London Blue Topaz Gems Elaborate London Blue Topaz Pendant 17 Inches Long Adjustable Necklace Here is a wow factor piece- The large London Blue Topaz in the pendant is same size as just sold on the Wholesale World Gem Market as of yesterday for 120 (#140452409250) with a far higher retail value of course. 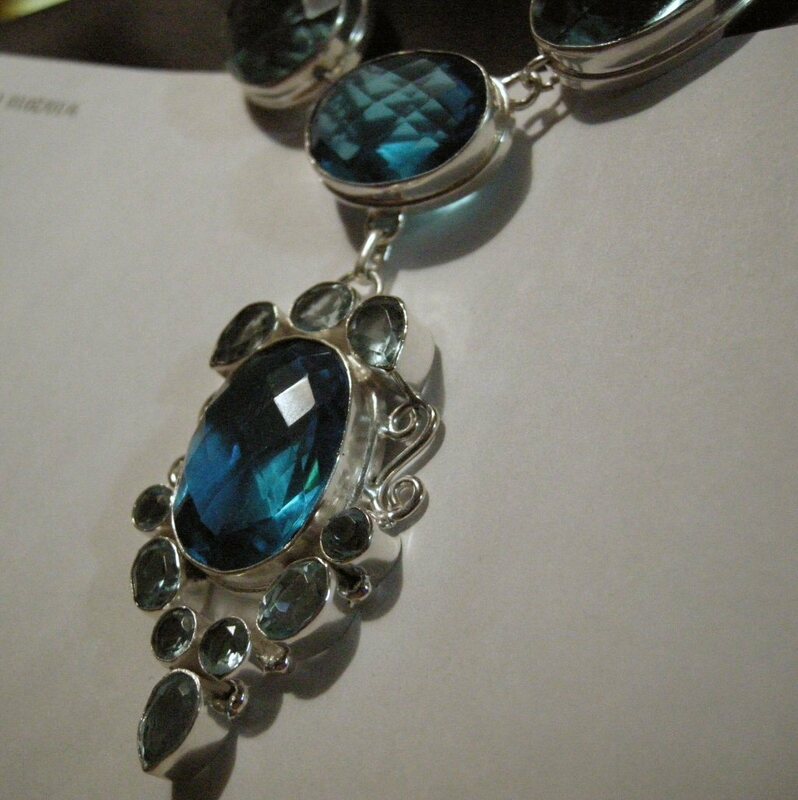 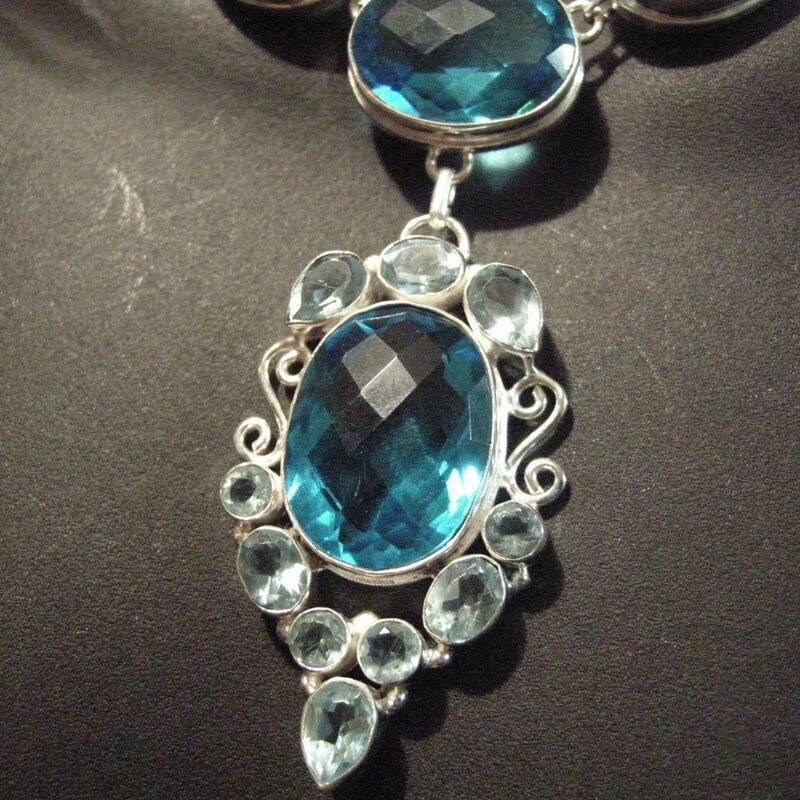 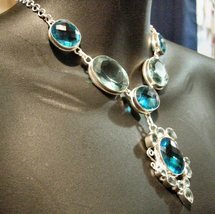 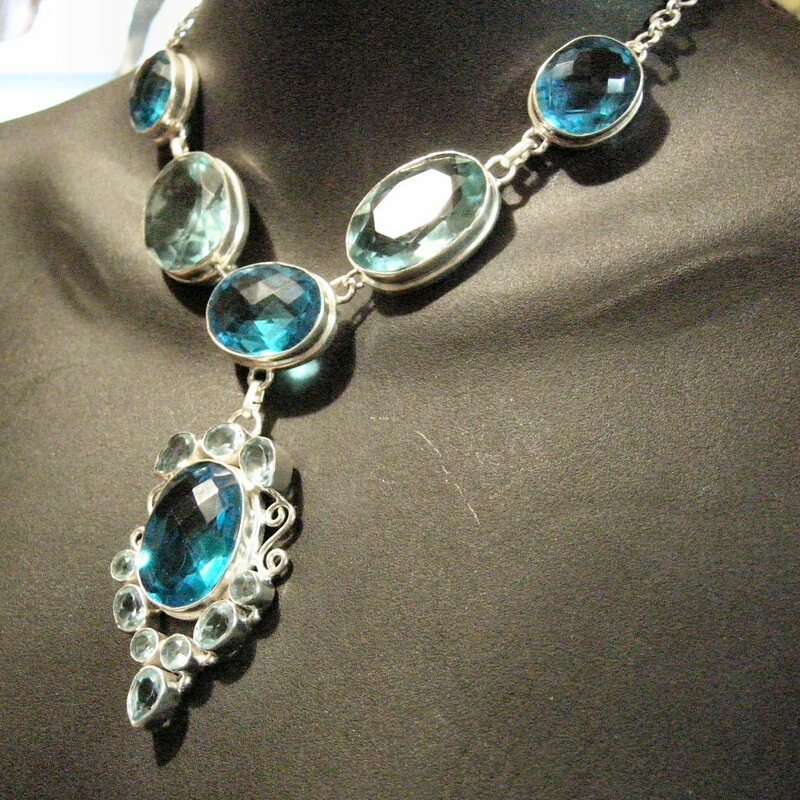 This necklace contains 6 large gems and a number of smaller plus a lot of silversmith work, and has a wholesale value of 700. 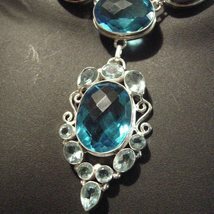 Now offered here for a limited time the chance to get this great value one of a kind gem necklace at a huge discount.